This piercing ring with sparkling cubic zirconia has a timeless design, making the ring perfect for daily use, but also suitable for that special night out. 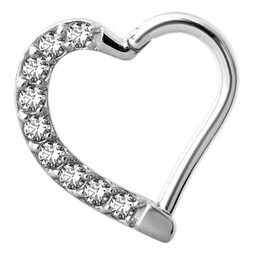 Suitable for ear and septum piercings. The click ring is made of surgical steel 316L. All of our assortment-products are very comfortable & safe to use ..and of course nickle-free!